Chelsea striker Costa is expected to leave Stamford Bridge for Atletico Madrid after Antonio Conte dumped him via text message. After initially struggling, the Blues now look to be closing in on a replacement with Real Madrid hitman Alvaro Morata reportedly close to a move. They did want Romelu Lukaku before Manchester United swooped, and have also been backed to sign the likes of Andrea Belotti and Pierre-Emerick Aubameyang from Torino and Borussia Dortmund. Costa taunted Conte earlier this week by wearing an Atletico shirt. The forward left the La Liga giants to join Chelsea three years ago but is desperate to make a return to Diego Simeone’s side. However, despite past suggestions a move was on the verge, Atletico president Cerezo has now dismissed those claims. 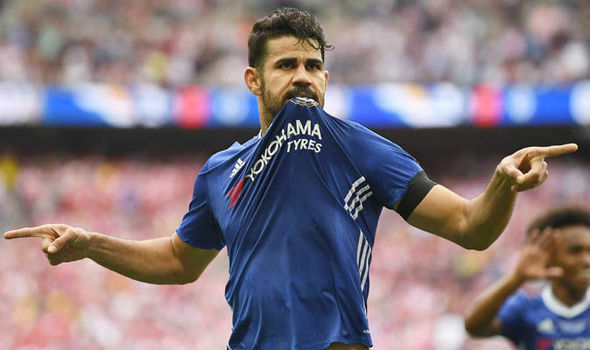 “Costa is a Chelsea player at the moment, and you know for a long time now that we cannot sign anyone (this summer),” Cerezo told AS, referring to their transfer ban. “This shows that pyjamas come in all different colours. Everyone can put on whichever ones they want. “Diego is a magnificent player, a great player, he was in Spain for many years. “He has had a good spell in England, learned English, English customs. “He will return to Spain someday… On holiday. Madrid is a lovely place to visit, if you have the money to enjoy it. “It is a long time since I spoke with him. Chelsea to sign Kevin-Prince Boateng?